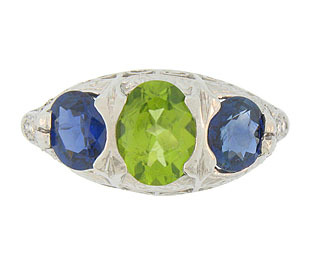 This fantastic platinum engagement ring features a pair of oval cut sapphires framing a glowing oval cut peridot. 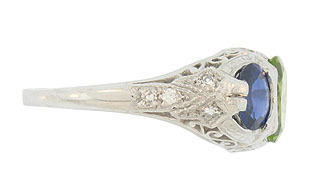 The rings shoulders are adorned with intricate engraving and fine faceted diamonds. 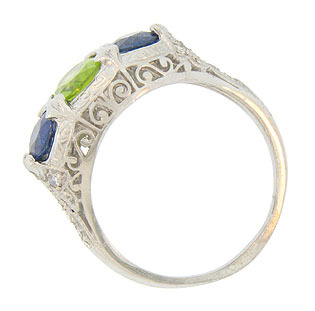 Curling organic filigree decorates the ring sides. 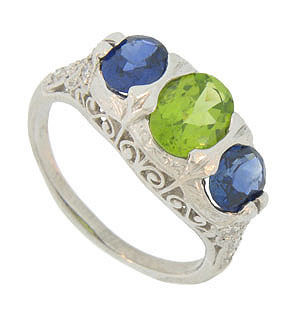 The antique style ring measures 9.74 mm in width. Size 7 3/4. We can re-size.